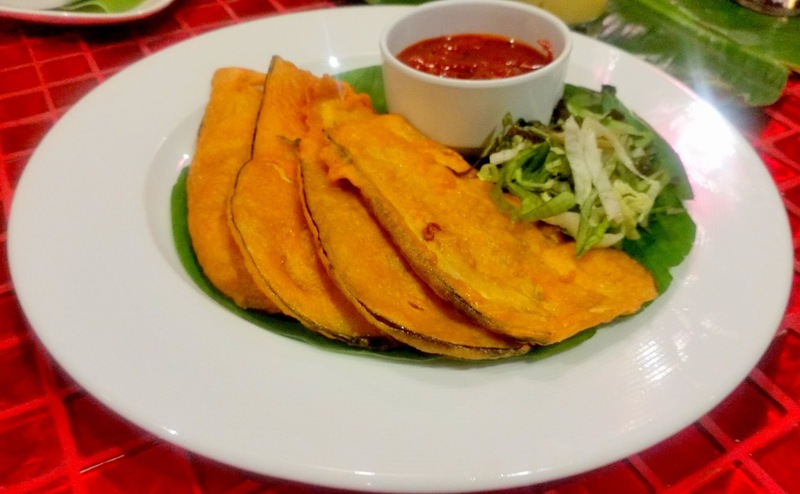 Readers who have seen my review of this restaurant would notice that the restaurant is trying to be different – constantly experimenting with new dishes and some amount of fusion too. 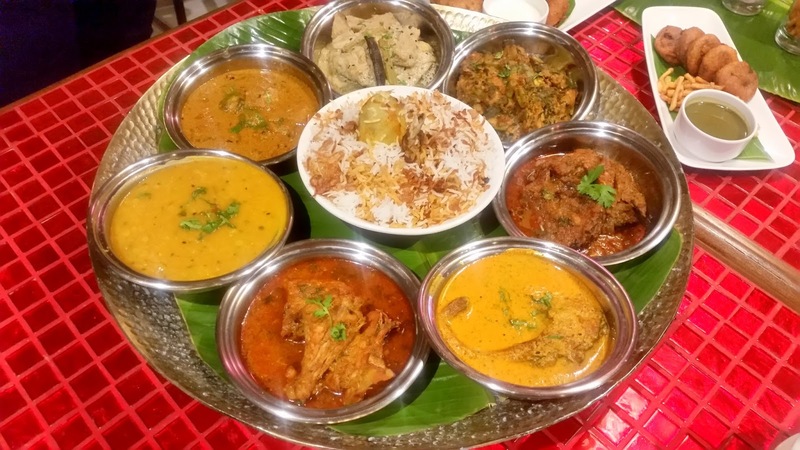 They have two chefs in their ranks who have significant experience in Bengali food, with one having a long stint at Hotel Hindustan International, Kolkata. That was the reason I was fairly upbeat about this festival. The festival offerings are part of the dinner buffet, in fact except for the chaat counter almost all the items have been replaced by Bengali dishes. 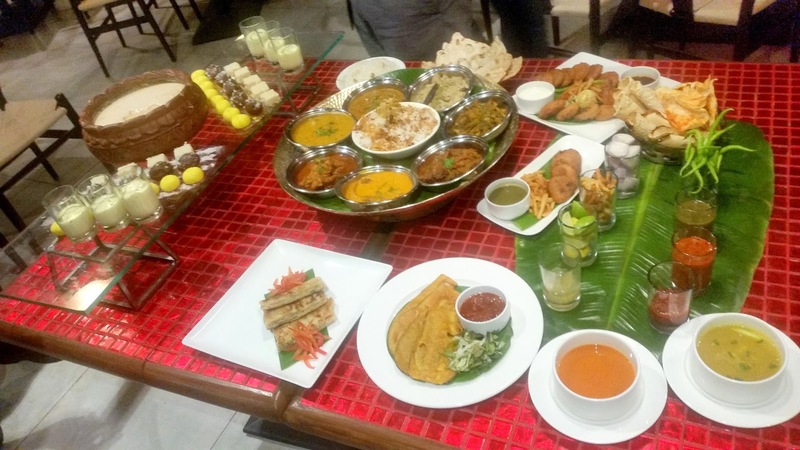 So, unlike the Bengali fests in all day diners, this has a good bouquet of Bengali food. Invited for a preview of the festival, we started with the soups. Chandrasekhar Pandey, one of the partners running the restaurant told us that they had gone beyond Bengali food, and included some other delicacies associated with the state too. The first offering Mrs Changs’s Prawn Dumpling Soup was one such dish, providing the flavours of the famed Tangra Chinese food. The soup, made with localized ingredients really caught our fancy. The vegetarian Dak Bangla Tomato Soup replicated the tomato soup available at Railway pantry cars. Bengalis love their snacks and short eats and the buffet had ample representation from them. Chops or croquettes form an important subclass. Today there were three variants – Chicken, Prawn and Vegetable Chops. The chicken and prawns had the right amount of masala in it, and tasted exactly like what you get in the bylanes of the Bengali cities. The vegetable version (pronounced vegetebil in the shops) had the usual red coloured beetroot based filling. Moglai Parota or the Bengali version of Baidu Paratha/Muttabak was not up to the mark, though – the egg-based filling was too less. There was also Kathi Roll, perhaps the most popular street food of Kolkata. With the starters tucked away, we were ready for the main courses. All Bengali dishes are rice friendly, so we had a constant supply of steamed rice accompanying the dishes. First was Shukto, a Bengali preparation of mixed vegetables including bitter gourd, using Radhuni (a popular Bengali spice) and milk. The delicate dish was pretty well made. Chochhori, another vegetarian superstar, which uses Paachforon or Bengali five spices was next. The flow in a typically Bengali dinner has all the vegetarian items in a particular order followed by the non-veg food. Bengalis are very particular, and often even finicky about this. Next came some Musurir Dal (Masur Dal) served with Alu Bhaja (Potato fry) and Beguni (Eggplant Fritters). The eggplants were sliced very thin, and I loved the combo with dal. Alu Potoler Dalna (a potato and pointed gourd dish) was another dish which went well with the rice and dal. 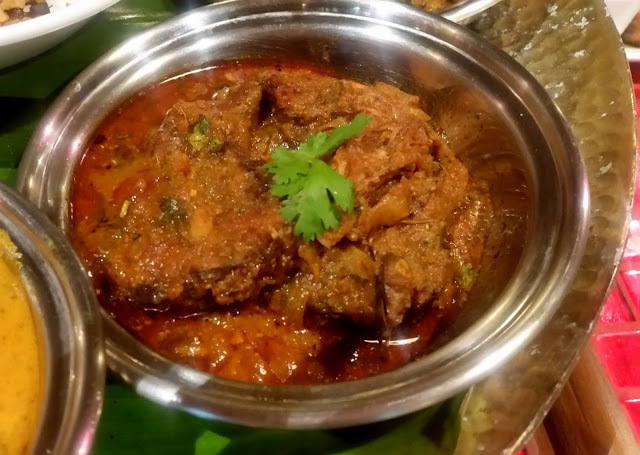 By now, I was very confident that the evening will be good for a Bengali like me, the chef’ knowledge of the cuisine was apparent in almost all the dishes. It was time for the non-vegetarian dishes. There were two fish dishes – a mustard based Machher Jhal and the runny Machher Jhol. The taste of curry in both were very authentic. My only issue was that both the dishes used Rui machh (Rohu fish) – it was explained that availability of smaller fishes was an issue due to the small vendors not operating in this economic crisis. 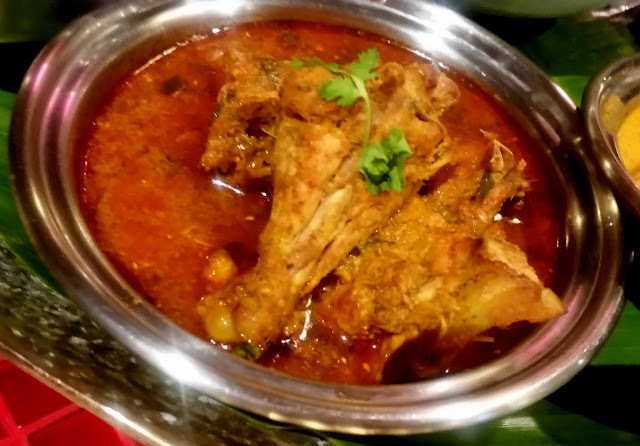 For the Murgir Jhol, I commissioned the Ghee Bhat from the buffet, and it really was an ideal combination. There was a mutton biryani which was named Mirpuri Mutton Biryani. I was told that the recipe was from Bangladesh. This was much spicier than the usual Kolkata biryani (Hyderabadis please note) and had the quintessential potato in it. 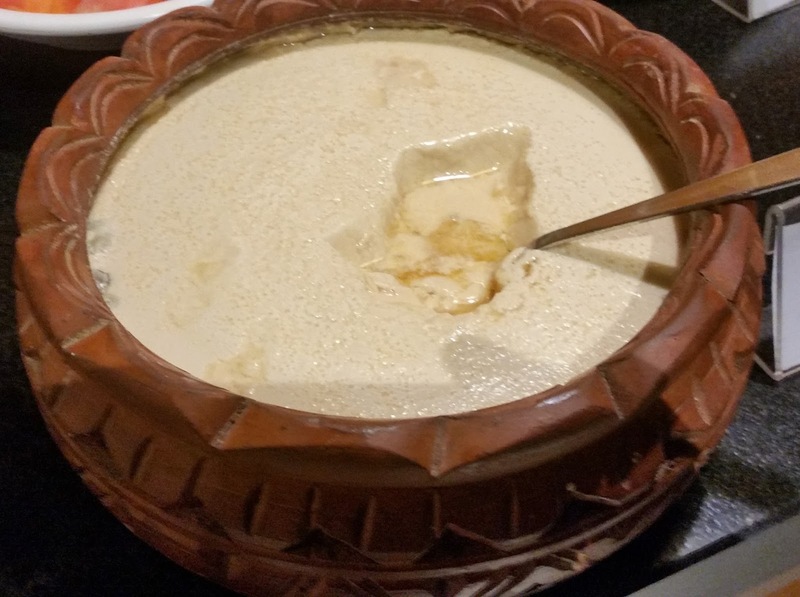 The dessert section had Mishti Doi. The taste was fine, though the texture under the upper crust was suspect. Kalo Jam, a favourite of mine was the best sweet of the day. 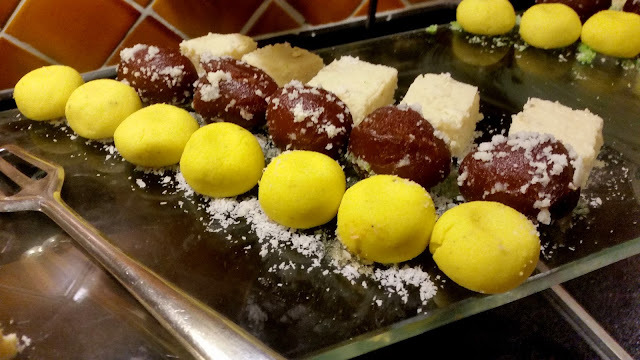 Apart from this there were Rasmalai, Sandesh and Rice Kheer – I did not try any of them. 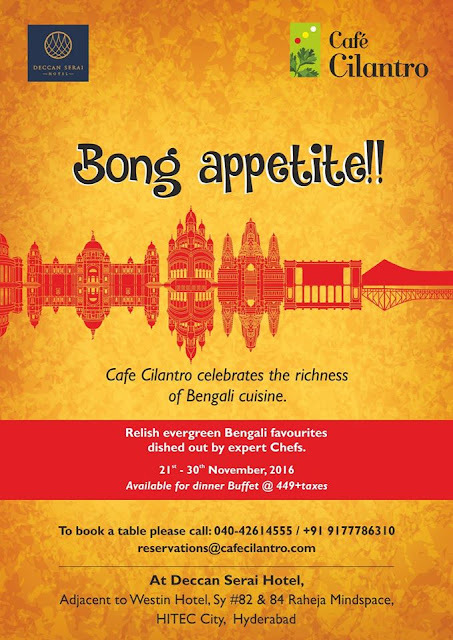 A nice, clean and authentic buffet of Bengali food. Café Cilantro will bring in variations like Alur Dam, Luchi, Kosha Mangsho etc in the coming days. At Rs 449 plus taxes the all-inclusive charges come around Rs 570. The promotion is on only for dinner.